After reports of three women being indecently assaulted on the Bay Run, police believe there is a serial offender targeting women. They have been told the man is in his 20’s, with prominent front teeth and tattoos on his right shoulder and forearm. Two women reported to police that they were intimidated or assaulted, while the third woman has not spoken to police, but reported the incident to another man who was walking his dog near Glover Street Sports Ground. Police are wishing to speak to any other women who have been approached or assaulted near the Bay Run area. 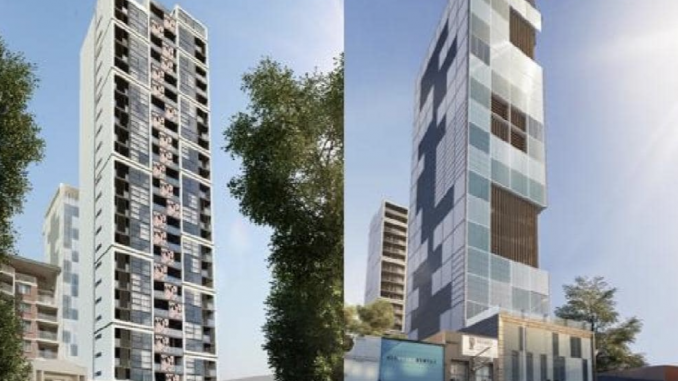 Burwood is set to receive two new towers after a $30 million plan was approved for a 18-story commercial tower and a 20-story residential tower. The artist impression shows the 1,632.6sq m development site in the heart of Burwood’s town centre, 100m from Burwood railway station. The residential tower would include 57 residential apartments, 15 serviced apartments and communal open spaces. The proposal also includes “an area of open space” such as a winger garden or balcony. Meanwhile, in Leichhardt another development project is causing quite a stir with hundreds of residents heading to a street meeting to oppose a State Government plan to rezone industrial land for 315 apartments.